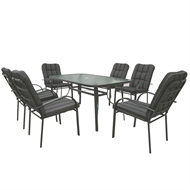 The Dargo 7 Piece Dining setting provides great value and comfort and is an excellent addition to any outdoor living area. 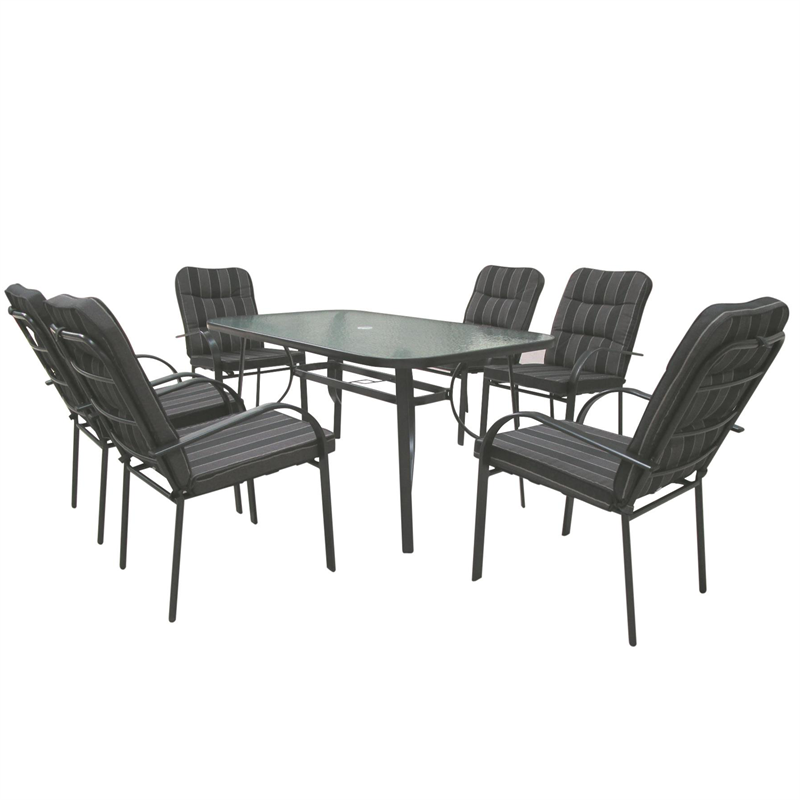 The table features a durable charcoal powder coated frame, with a tempered glass top table. The chairs are also constructed from powder coated steel with comfortable UV protected polyester cushions.